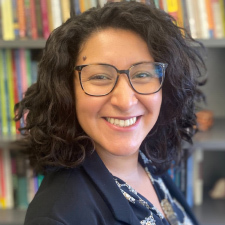 Luzilda Carrillo Arciniega, Ph.D. is the Executive Director of the Diversity Research Institute and the Lead Strategist of the National Diversity Council Index. As the Lead Strategist of the NDC Index, Lucy translates diversity and inclusion best practices into organizational benchmarking tools. Through managing and analyzing organizational data, she helps companies define, clarify, and set goals to establish effective diversity initiatives and inclusive cultures. Lucy also works as an independent diversity consultant, using her skills as an anthropologist to bring cultural insights into the customer service experience, management leadership strategies, and employee engagement. She has experience consulting with multinational corporations, designing and delivering diversity trainings for senior managers and professional development workshops for university students. She draws insights for consulting from her six-year dissertation research on business cultures and diversity management. Lucy Carrillo received her Ph.D. and M.A. degrees in Anthropology from the University of California, Irvine. Her doctoral research received numerous awards, including the Wenner-Gren Foundation for Anthropological Research Grant and an honorable mention from the National Science Foundation. She is also University of California, Berkeley undergraduate alumni. Currently, she teaches courses on culture and communication at the California State University Long Beach and lives in Los Angeles. She is also editing her dissertation into a book on business expertise, diversity management, and American race relations.